Joy De Vivre Design: Have You Seen This Etsy Shop? Here she is now! 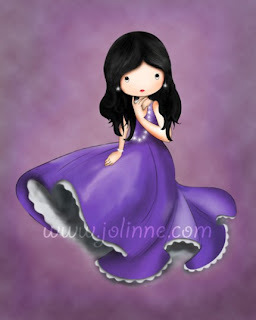 Jolinne wearing a vibrant purple gown and beaded necklace. Printed on archival matte paper using UltraChrome pigment ink, the image size is 7"X9". 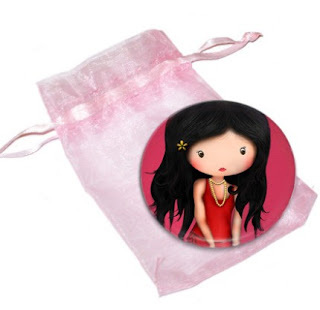 Jolinne is letting her hair down to star on this cute pocket mirror! 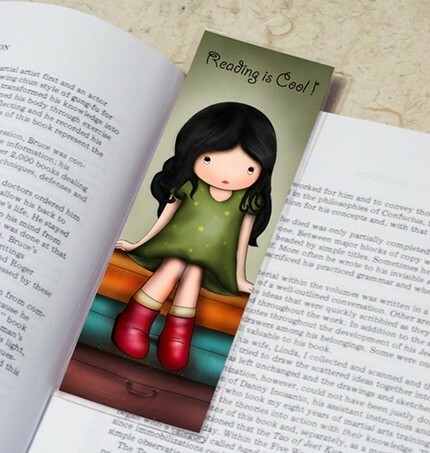 It is 2.25", the perfect size to keep in your purse or office drawer. Can't decide which Jolinne print is your favorite? Now you don't have to! With the set of 8 mini prints you can combine all of your favorites into a collage. Each print measures 4.5X5.25" with a small white border. 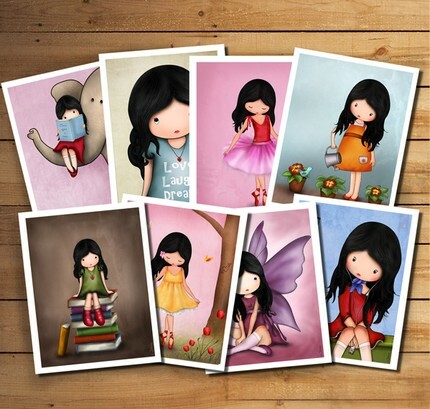 If you would like a different combination of mini prints just check out the listing for details on how to purchase your choice of 8 minis. This week our winner will receive this beautiful bookmark! 1. Check out Jolinne on Etsy. Come back here and tell us about your favorite item in the shop. 2. Be or become a follower of this blog. Entries will be accepted until midnight Saturday. Come back Sunday to see if you are the winner! Good luck to all! Meytal would also like to extend an offer to the readers of Joy De Vivre. Today and tomorrow, that is the 27Th and 28Th, receive one print free of charge when you purchase a print of higher value. Just mention that you saw this promo in the notes to seller during checkout and give Meytal the details on the free print you would like to receive. I just love her shop!